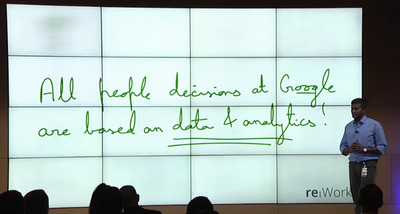 Google is famous for making decisions based on crunching data. In most cases it works for the company, but using algorithms and insights isn’t always the best approach. 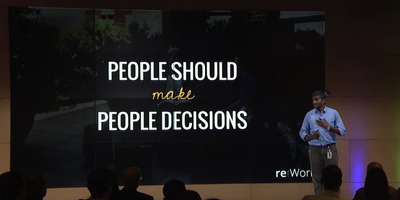 That was the lesson Google’s VP of People Analytics, Prasad Setty, shared in an address at the company’s re:Work conference (we first spotted the video of his speech on Quartz). Setty says when Google first formed the People Analytics team about seven years ago, its objective was to make sure the company’s people decisions were based on data and analytics. It took that goal very literally. “We wanted analytics to spit out our people decisions,” Setty says. Promotions are a big deal at Google, he explained. Twice a year, the company brings together its senior-most engineers from all over the world to form committees and mull over the huge stacks of engineering promotion nominations filed. In each cycle, thousands of Googlers get promoted to positions of higher responsibility. The whole process takes several days. Apparently, in the team’s tests, their model showed 90% accuracy for 30% of promotion cases and it seemed to be reliable and stable across multiple cycles. Turns out though, they didn’t like it one bit. The hiring committees completely shunned People Analytics’ algorithm. 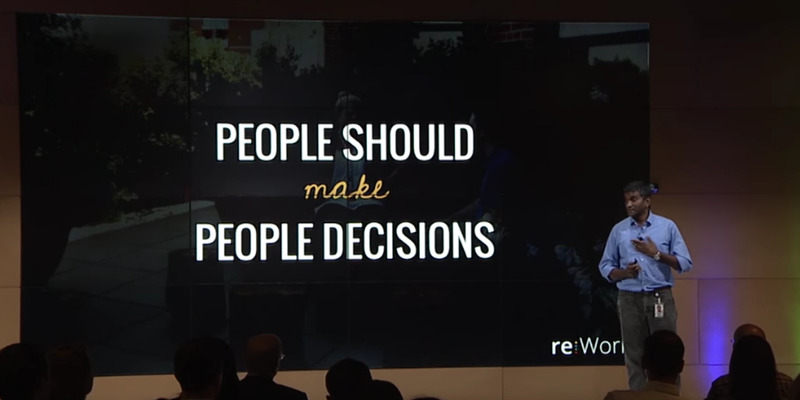 People Analytics shouldn’t be trying to make algorithms to replace people, Setty realised. Instead, it should be all about arming its executives with better, more relevant information so they were capable of making better decisions. Google’s promotion, hiring, and on-boarding processes all still rely on information rooted in research, but they no longer entertain the idea of letting algorithms replace people.